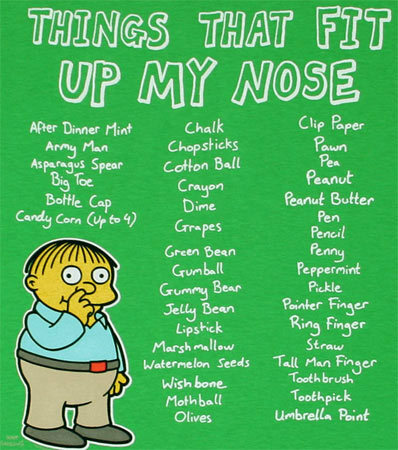 Things That Fit Up My Nose. . Wallpaper and background images in the Ralph Wiggum club tagged: ralph wiggum simpsons.